Anaconda Mining has an investor call where anyone can join in to help explain the details on the takeover bid for Maritime Resources. This is a very interesting bid because the Company is going straight to shareholders. It is not usual to see a company have to to go shareholders while offering a nice (64%) premium to the market. I will be listening in and would be interested to hear what everyone else thinks if they can take some time on Monday to call in. Anaconda is hosting a conference call on Monday, April 16, 2018 at 10:00 am EDT for investors and interested parties to discuss the Offer. The purpose of the call is to review the Offer, explain the rationale, and answer any questions about the Offer. +1 KD Dougan. I’ve very constructive on Anaconda’s path forward with or without this deal going through, but the more I look into it the more I’m in favor of the combined company. DT – It is quite normal in any takeover for the acquiring company to take the short term hit in share price since it is ponying up the paper or cash (in this case it is an all shares transaction). The hope is that the acquisition is going to add future value much larger than the shorter term dilution to make the purchase. In contrast, the company being acquired is the one that gets the premium and share price appreciation because they are being incentivized to sell early before they realize their full value. 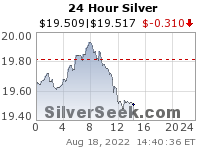 What was really weird on Friday was that MAE was only up 8% so I bought some of it since it was such a tepid reaction. Most of the takeover transactions we’ve seen over the last few years have been in the 30-60% range so 64% is to encourage the deal to go through. Initially Anaconda had some issues getting the management team at Maritime Resources to respond or accept the deal, so they had to take the deal to the people. A 64% premium like that is enough to move the needle and get the transaction completed. Keep in mind Hecla just took over Klondex at a 59% premium, so that is what it takes to get investors on board. This is also why I was a bit let down at Alio Gold takeover premium to Rye Patch only being in the mid 30% range. The combined company will be a real force to be reckoned with in Nova Scotia and Newfoundland, and there are many synergies that can be realized between the 2 companies. It may take the larger investor market some time to digest all of this, but that is were the value is for investors that position BEFORE it is obvious to everyone that it’s a longer term win. In addition, in the shorter term, there is a really healthy arbitrage opportunity to pick up Maritime Resources at a huge discount to the takeover premium, as a way to accumulate future Anaconda shares (providing the deal goes through). Even if it doesn’t go through, it is a large vote of confidence for MAE, so I’m comfortable holding shares of both ANX and MAE at present. If this deal doesn’t go through, then ANX can always go out and acquire RCG (Resource Capital Gold Corp) as a plan B. They’d be a great acquisition target with similar synergies. Again, if MAE doesn’t want to play then I agree with Bob M’s point a few months back that RCG would be a great takeover candidate as well. The KER weekend shows are too political for my interest, and there doesn’t seem to be as much interest here on the resource stocks so I go where the cheese moves. Cheerio! Jerry, no more tweety, leave him where he belongs in Korelin jail. There are a lot of companies that have gone relatively quiet. Still some good news but it seems everyone is getting organized for upcoming drill programs. Thanks Cory. You’re doing an excellent job. Keep up the great work sir! It appears $ANX is just scooping up all kinds of good assets at a low point in the metals cycle, and good on them. The $KLM Keromode asset (Jackson’s Arm) that Anaconda recently picked up has already had tons of work, and a NI-43101 resource of around 500,000 ounces of gold already and is open for expansion. They had to let it go because Kermode is cash starved and didn’t want to go down the commode. “Kermode Resources has initiated the first move in the process of moving on after a long period of hibernation. This asset has been a cornerstone asset of our company for many years and will be a benefit to Anaconda Mining. Between 1986 and 2008, we drilled approximately 130 of the 183 holes used to establish a NI 43-101 compliant resource estimate of 495,000 ounces of gold. While it was a difficult decision to sell this asset, this deal gives us the opportunity to focus on the Eastgate Gold Project in Nevada, which we intend to consolidate and advance.” says Don Moore, CEO and Chairman of Kermode Resources. Transaction terms: Anaconda Mining acquired 100% of the Jackson’s Arm Gold Deposit with no residual interest held by Kermode Resources. Anaconda Mining paid Kermode Resources an initial cash payment of $25,000 and $500,000- equivalent of ANX common shares, equal to 1,113,218 common shares (“Consideration Shares”) based on the twenty-day volume weighted average trading price ending as of January 24, 2018. Anaconda Mining will also pay Kermode Resources an additional cash payment of $25,000 on February 26, 2018. The Consideration Shares are subject to a hold period which will expire on May 27, 2018 in accordance with the rules and policies of the Toronto Stock Exchange and applicable Canadian securities laws and are also subject to further transfer restriction pursuant to the terms of the transaction. Wow – didn’t see this one coming. This will mean big pain in the short term, but could be a blessing in disguise for the longer term as MarMar really hadn’t delivered on their end of the agreement over the last 2 years and as a result they are way behind schedule on the production that they thought they’d be doing. Jr mining is a tough business, and the 60% drop today stings, but I’m still constructive on the properties, grade, cost of extraction. The key will be if management can put together a team to run the mining, loading the leach pads, and Merill Crowe recovery system in a reasonable time. I’ll admit this news has given me some pause for concern. (of course the contrarian side of me is considering adding a bit more while there is blood in the streets). Ex, what are your thoughts on long term blessing with this news…..now they have it outright to themselves? Wonder what part of the environment of the mine they have to address, it seemed like a good fit with Mar Mar,local miner,experience, other irons in the fire will take attention off certain detail….. Thanks for the news!! Yes, the short-term downside is they just fired their JV partners, but the upside is that they still have most of the equipment in place, the leach pads are loaded, and now it is 100% their baby moving forward. In a way they just got most of the work MarMar did over the last 2 years for free, but they need to put in security fencing, have hired a security firm, and need to do some site cleanup to keep the environmental people happy. They’ll be doing a “non-dilutive financing” soon so that sounds like a debt financing, but this is OK because they don’t have much debt as it is, and they are ready to produce once they staff up. There are 2 consultative teams reviewing the leach pads for the best path forward. As per the norm, it has taken them longer to move into production than anticipated, which is par for the course for new producers, but they’ll get it figured out. Their shares have dropped from $.20 pre-production to $.0146 as of today, so there is plenty of room for upside, and most of the downside is priced in at this point. Honestly, the market over-reacted today, because they’ll just bring in another team to do the processing now, but won’t be splitting it with MarMar. They will have to bring on some debt to staff up though and add some equipment that MarMar was providing. Short-term pain for longer term gain. Excelsior thank you for sharing your knowledge in these industries!! I’m going to add a little to my position also. MXSG pretty much hovered near the $.014-$.015 range the rest of the day, but of course could still pull back a bit more if the market has any follow through tomorrow. Whit – Keep in mind that this stock is still a very high risk play and I’m prepared for my shares to be under pressure and potential pull back under $.01 in an extreme case, but again, I see the upside as very much worth the gamble here as it could easily be a 10 bagger from here and then some. The key will be watching for them to make progress on the Debt financing deal, get the environmental clean up checkup done, and then staff up for the start up of production at Santa Elena, and they’ll need more personnel over at 8 Brothers later this summer. The concern would be if the debt terms are terrible, but considering they have most of the equipment in place, have double-checked the grades (averaging 2.5 grams/ton) and they have solved the clay issue on the leach pads by putting in the filtration system, then the payback period should be short (1-3 years) and definitely worth the candle. For clarity I’m not betting the farm on this one as I hold many other mining stocks, but I see this as one of the most levered stocks to the upside and downside, and believe they’ll gain some traction on their operations now that MarMar is out of the equation, but at a trade-off of time as they’ll need to get the new team trained. Thanks Ex, if it pulls below a penny, I will buy again. With there land package and exploration and cost it seems cheap especially metals keep bumbing up…whats your thought of mexus land package, like Impact land exploration. Also what kind of financing would they do? Bank, partner, royalties…. They have historic resources in place at each deposit (from prior companies work), and have done rock samples, channel sampling, and a few drill holes to confirm the goods are there and the grades are coming back higher than anticipated at all the areas. They aren’t world-class, but they are very solid and can be mined economically at a very nice margin. That is the key. Impact isn’t really a fair comparison because their land package is so huge & prolific, and their team is more experienced on the production side of the business and have been mining for over a decade. I guess one parallel though is that Impact does exploration and then goes right into mining on their deposits, without going through the huge expensive of publishing NI 43-101 resources each time. I actually prefer moving into mining directly in some instances where the resources are obviously there and not blowing out so many funds just to go through the motions on the resource estimates. Now as far as the capital raise, they said “non-dilutive” in that recent press release, so I took that as they were NOT going to do a Private Placement w/ warrants, or streaming deal, etc… but rather a traditional Debt Financing. It is all window dressing though because all capital raises (however they happen) dilute down shareholders interest or future gains to some degree. I’d rather see the debt though than insider investors milking it and them blowing out tons more shares. Again, this one is high risk, and it remains to be seen how much money they are going to ask for, at what terms, and what they anticipate the payback period will be once they get their deposits into production. We’ll see how it goes, but it the stock is definitely not expensive here at current levels. THe question is IF……….. 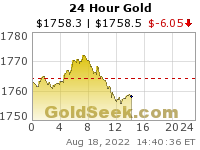 So if Gold breaks higher and is going to reach $1700/oz then juniors are likely to catch up to historical performance. $1700 is a ways off still, but I could see that coming in late 2019 or 2020. Yes, the miners may be wrong-footed here and need to play some serious catch up if the metals just keep blasting higher, as it will improve production numbers, Development economics, and the value of discoveries for Explorers. Heck even the companies with Royalties will benefit, so it would be a “rising tide’ scenario. I’m not convinced we are there yet, but things could break out first before a mini-wash out in sentiment. Personally, I think its more likely gold stays in that wedge a bit longer building up even more energy and when it drops down into the summer doldrums and even more investors throw in the towel, then coiled spring will pop out of much lower sentiment. Ex……I would have to agree with your thoughts on the price. Yes, we’ll have to see how all of this shakes out on the capital raise, and I’m prepared for the fact that they may have to roll the shares back at this point, because yes, to your point there are a lot of shares out. A good 4:1 or 5:1 split would likely set them up well, but in the interim this could move around by large percentages and be volatile, but offer trading opportunities around a core position. Again, I’m not betting the farm on Mexus. It’s about 1.5% of my overall portfolio. Interesting….thanks for the reply. Have a good evening!! I have no positions in the sector at the moment. Denison is one of the 6 Uranium stocks I currently hold a position it. Very well run by David Cates, who also administors and manages the Uranium Participation fund. Many don’t realize DNN gets a consulting fee to manage $U. In addition, Denison has had a tolling arrangement on Cameco’s ore in the Athabasca Basin due to their part control of one of the few Mills along with their partner Areva. Also Denison has an environmental mitigation business (kind of like Alexco) that brings in extra revenues each year. Lastly, Denison has had some very high grade hits at their exploration/development projects in the Athabasca Basin, and they are the furthest along in getting the next mine developed. Even some of the big stories of the last 2 years like Nexgen & Fission are way earlier stage in getting those deposits into production, so Denison will have the next mine built in that prolific Uranium mining district. Anyone’s thoughts on what, if any, impact this will have on uranium stocks? 1) Production cut backs across the board. – Cameco shut down the largest North American mine last year for about a year, Kazakhstan had huge production cuts as the worlds swing producer (the Saudi Arabia of Uranium), Paladin went down the tubes and shuttered production, and most of the remaining producers are scaled back to just producing enough to honor their longer term contracts. 2) The Underfeeding secondary supply is finally ramping down as the Russians have squeezed most of what they can out of their remaining stockpiles to keep the centrifuges spinning, and eventually new production will need to supply them again. 3) The US Dept of Energy FINALLY quit the insane antics that were carried out under the Obama administration where they were continually dumping huge amounts of secondary supply from decommissioned warheads and weapons into the spot markets, only crippling the miners further by piling onto even more secondary supply. The Megatons for Megawatts program was supposed to have ended in 2013, but the DOE dumps kept happening until last year to pay for mitigation. Unfortunately nobody considered that this dumping into the spot was crushing the spot prices and giving Utility companies way too good of deal and the miners can’t produce down at these ridiculously low levels. Comments suggest struggling firm FirstEnergy could get help from the DOE. 5) The Russian cease trade on Nuclear will only support US Uranium miners. US producers (UUUU) Energy Fuels and (URG) Ur-Energy may benefit as a result. There are also the developer like (UEC) UEC Corp, (AEC) Anfield Energy [that have Uraninum ones old assets], and (WUC) Western Uranium that will benefit. 6) UUUU and URG petitioned the US government with Section 232 to have US Utility companies buy from domestic producers which will be a further boon to US based companies mentioned above. Lots of value drivers are lining up, especially for US-based Uranium companies. For those interested in the Uranium space, there are number of great comments, linked articles, and news blasts posted in the #Uranium room over at ceo.ca.